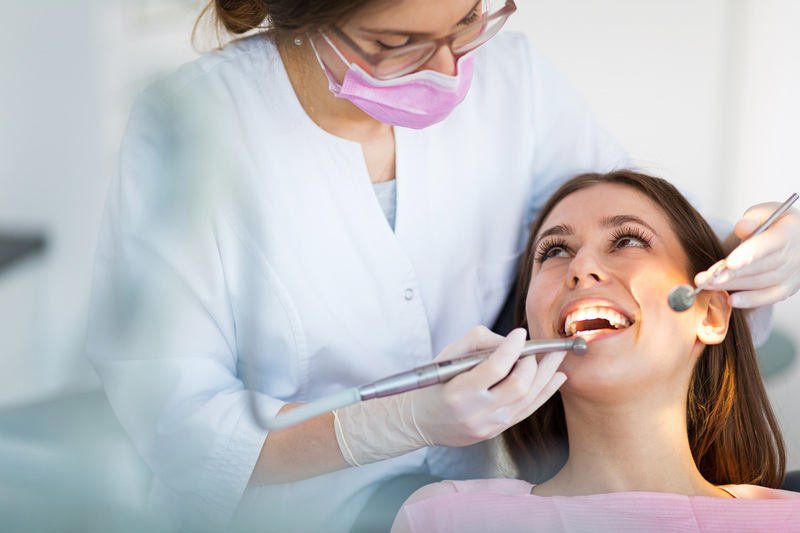 Although most of us try to care for our dental health as best we can, certain problems will need some specialized cosmetic treatment in order to achieve the perfect smile. Cosmetic dental treatments come in a wide range of options, from straightening and aligning crooked teeth to tooth whitening or using veneers. Cosmetic dentistry is becoming increasingly popular as more treatments become available, with affordable payment plans for getting the smile that you really want. We’ve listed some of the most popular cosmetic dental treatments that are currently available. Over the years, even well-looked-after teeth can become stained yellow or brown from the foods that we eat, the liquids that we drink, and from unhealthy lifestyle habits such as smoking cigarettes. Even if you try to eat healthily and are a non-smoker, however, simply drinking coffee or tea can cause your teeth to experience some discoloration over time. Tooth whitening treatments can be done professionally, or you can ask your dentist for their best recommendation for a kit to use at home. It’s one of the most affordable cosmetic procedures available, but don’t fall for anybody who seems to be offering prices that are too good to be true! You could take a look at the website implantandcosmeticdentistry.com if you’re looking for recommendations. This clinic offers professional tooth whitening treatments at very affordable prices. Most of us aren’t blessed with teeth that are naturally perfectly straight. Even if your teeth are mostly straight, chances are you have some issues with one or two that could be aligned better. Since our adult teeth develop during childhood and adolescence, the fact that we are still physically developing during this time means that there is often not enough space in the jaw for the teeth to come through perfectly straight, causing them to develop too close to each other, leading to overcrowding. Also, many people have gaps in between their teeth that they would like to see closed. Adult braces are becoming more and more popular as an option for people to fix and feel better about the alignment of their teeth. They come in a variety of discreet options from clear and white braces to invisible aligners or braces fitted out of sight behind the teeth. Dental veneers are another popular cosmetic option that can be used to correct a large number of dental problems. Veneers are fitted over the teeth to change the shape, color, and appearance of your smile and tend to be most commonly used for patients whose teeth have suffered from a significant amount of erosion or discoloration. They are a permanent dental treatment and will last for many years when well cared for. Losing a tooth can dramatically change your appearance and knock your confidence, especially if it’s impossible to hide when you smile. Tooth loss occurs for various reasons, with gaps down to anything from sports accidents to periodontal disease. Dental implants are used to replace lost teeth and make the smile complete once again. They are a more comfortable, lower maintenance alternative to dentures that look and feel just like your own teeth. Have you had any of these cosmetic dental procedures done?